The northern Rhône produced a number of excellent red wines in 2014, although yields are down. Happily, 2015 brought an ideal growing season and harvest, with healthy quantities of clean fruit. My early look at the finished white wines indicates that ’15 is a vintage for the ages. 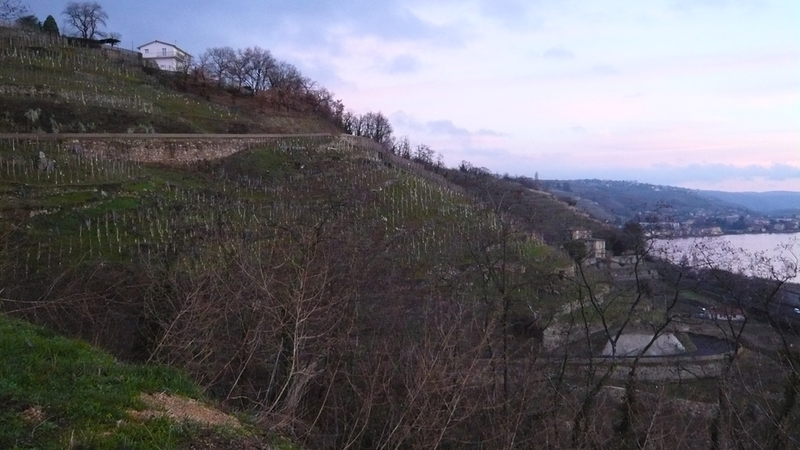 Following the low crop of 2013, growers in the northern Rhône were hoping even more than usual for an abundant 2014 crop to make up for the previous year’s shortfall. After a rainy winter that replenished water supplies and an on-time budbreak followed by warm weather that pushed the growing season up to two weeks ahead of schedule, they had reason to be optimistic. Unfortunately, Mother Nature had different plans and the region was hit hard by relentless rainfall of historic proportions along with often devastating hailstorms immediately after the early-June flowering. In fact, the hailstorms were in many cases so severe that entire vineyards were a total loss. The excessive precipitation bloated the grapes, so non-stop vineyard work was necessary to thin the crop and remove fruit damaged by the hail. Temperatures were generally cool, which brought the growing season back to normal. Conditions remained favorable through the veraison in early August. Except for a stray rainstorm in the third week of August, ripening proceeded smoothly. Harvest commenced under warm and dry conditions in mid-September and extended in many cases until the middle of October, which is quite late by modern-day standards. The resulting fruit – what little there was of it after the severe selection process – was perfectly ripe, which comes through in the best wines. Generally speaking, the 2014 reds display very good depth, likely a result of the low yields and strict selection, with freshness, clarity of flavor and finely-knit tannins. Many of the wines should drink well on the young side – i.e., beginning around 2020 – but the best bottlings are balanced to age gracefully. Even though production was down, which would normally suggest that the wines will be difficult to find, I suspect that the frenzy over the upcoming 2015s will mean a relatively cool market for the ‘14s, even the best of them. 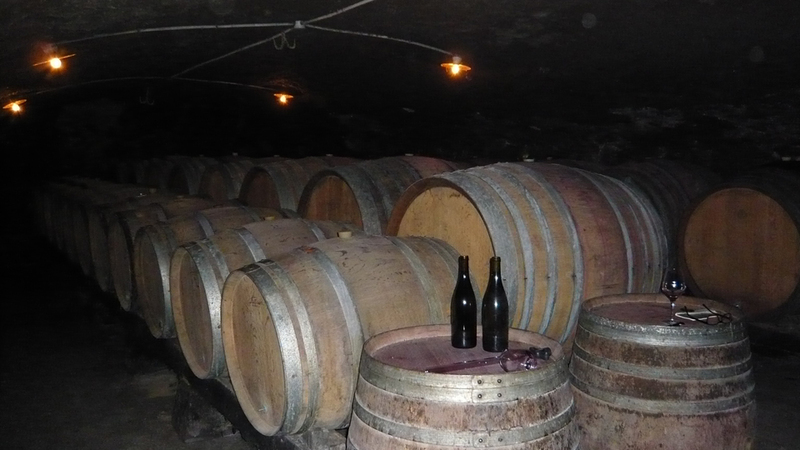 Savvy Rhône fans whose tendency is to drink reds on the young side will find plenty to like in 2014, a vintage that bears comparison, stylistically, to 2012 and 2006 in the opinion of many of the producers that I visited. While I have no doubt that it will be the red wines from 2015 that grab most of the attention of the trade and consumers, I have tried more outstanding, potentially epic white wines from this vintage than from any year that I can recall. The fault-free growing season meant that fruit could be picked at optimal ripeness and with healthy acidity, and the wines would – or at least should – show ripeness and depth as well as freshness and tension, a combination that is rarely achieved in the region. According to virtually every producer I visited, ripeness was a given but cool nights helped to preserve freshness in the fruit. 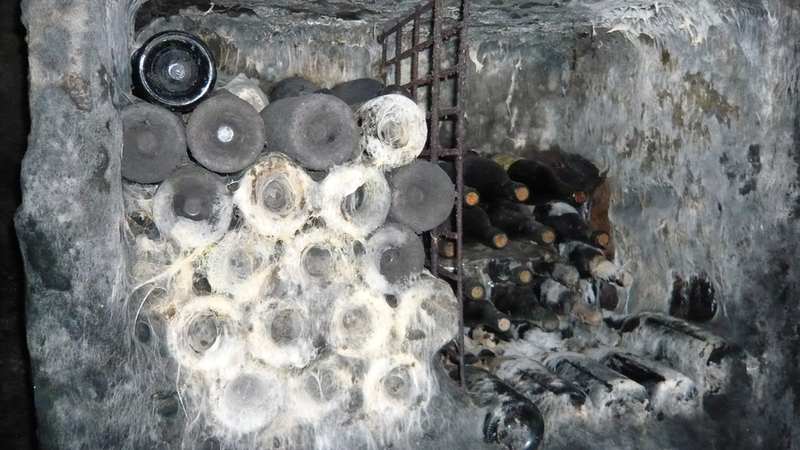 The only caveat, if there was one, was that, in the opinion of a few producers such as the always cautious Bernard Burgaud, the skins of the grapes were sometimes in danger of becoming too thick, which could result in exaggerated phenolic character in the white wines and strong tannins in the reds. That said, 2015 is in no way a “solar” vintage like 2009 or, especially, 2003 because the wines retain an obvious vivacity that belies the often-hot conditions of the growing season. While I did taste some notably brawny 2015 whites that appear to have been made with fruit picked on the late side, they are the exceptions. The worst-case scenario for those bottlings is that they should be drunk on the early side. Hermitage, in particular, produced white wines that should age magnificently. The same goes for Saint-Joseph and, in some cases, even Crozes-Hermitage, an appellation whose white wines in my experience rarely repay cellaring. While the 2015s from Condrieu will likely age longer than usual, I doubt that that is much of a concern for the vast majority of wine lovers who buy these wines to drink young. And the ‘15s, as a group, are thrilling for their power as well as for their energy. I tasted the wines reviewed in this article during my annual trip to the northern Rhône in February and in New York this spring.